Have you ever wondered how your favourite fairy tales get their happy endings? It’s all thanks to four guardian girls. 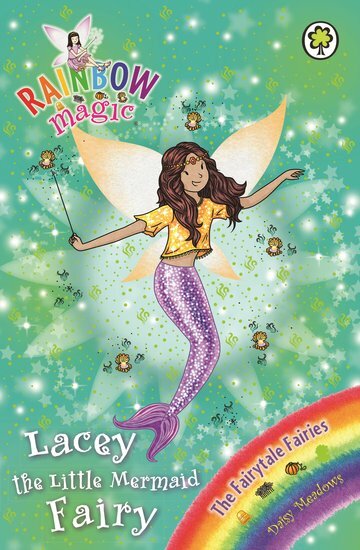 The Fairytale Fairies look after beloved fairy tales and all their characters. But when Jack Frost meddles – uh oh! Things are about to go very wrong. Lacey’s magical conch shell has been stolen. Now the Little Mermaid is lost in the human world. With her shimmering tail and swimming skills, she could never be happy here. Can Kirsty and Rachel get her home to the story where she belongs?